Intel’s processor roadmap has looked vastly different as of late compared to say, several years ago. Gone is the normalcy, replaced with odd occurrences like Broadwell’s unusually short run before being replaced by Skylake. 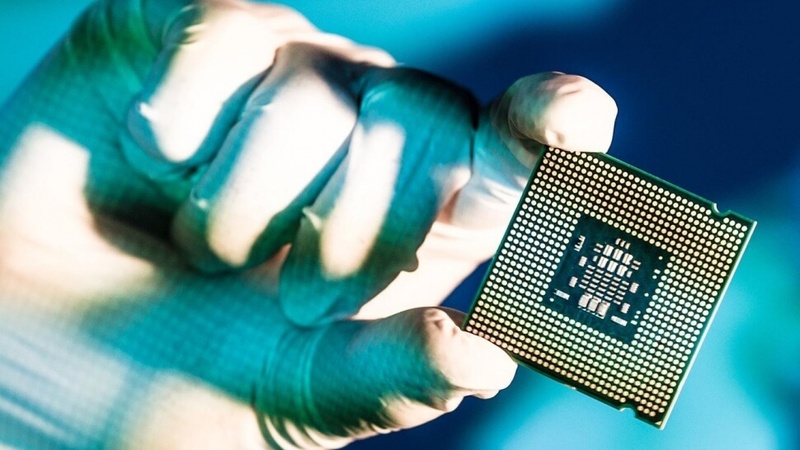 Nevertheless, Intel pushes forward with plans to launch its third processor family based on the 14-nanometer process in the not-too-distant future. 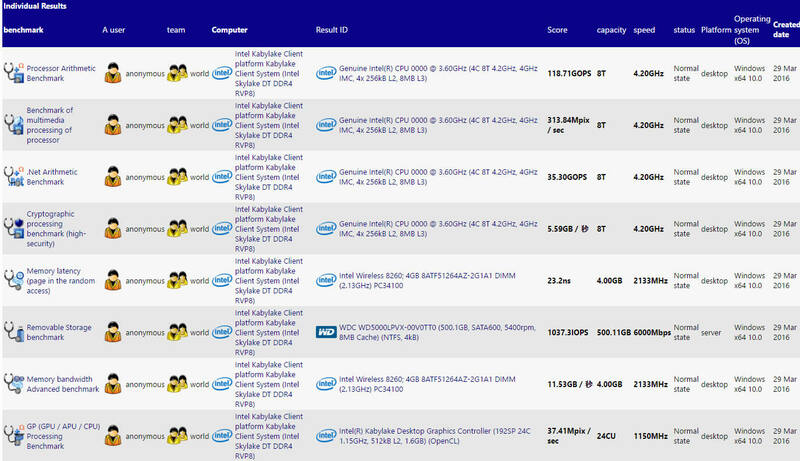 Now, thanks to a leaked SiSoft Sandra benchmark, we have a pretty good idea of what to expect when the next flagship arrives. The Core i7-7700K is a quad-core processor (eight logical cores with HyperThreading) clocked at 3.6GHz (Turbo up to 4.2GHz) that packs 256KB of L2 cache and 8MB of L3 cache. In comparison, today’s Core i7-6700K is clocked at 4GHz with a max Turbo frequency of 4.2GHz. As for the integrated graphics, the chip packs 24 execution units with Sandra showing a clock speed of 1,150MHz. Scores from the runs can be found by clicking here. Like its predecessor, the i7-7700K will support the LGA1151 package and will be compatible with current motherboards. Kaby Lake will also add native USB 3.1 support, native HDCP 2.2 support, full fixed-function HEVC main10 and VP9 10-bit hardware decoding. Or in other words, users can expect slightly more efficient versions of Skylake with a handful of new features. As always, keep in mind that these results have not been confirmed. If legit, they could have been run on an engineering sample which may or may not reflect what the final consumer hardware will look like. A combination of the complexity involved in die shrinks mixed with less urgency (AMD isn’t exactly a threat these days) plus a cooling PC market has ultimately led us to where we are today – an uninspired desktop CPU market. Improvements are still coming but they’re at a rate that’s slower than before and much less impressive. That said, if you’re running an Intel chip that’s even a few generations old, you’d probably be best served to wait until the 10-nanometer Cannonlake chips arrive next year versus upgrading to Kaby Lake. Hell, I’m still running a Core i5-2500k (non-overclocked) that’s more than five years old at this point. Combined with 16GB of RAM and a solid state drive, it rarely shows its age (it also helps that I'm not much of a PC gamer these days). With the right chipset (I'm on an H67-based motherboard), I could easily run the chip at 4GHz 24/7 without breaking a sweat. It defaults at 3.3GHz and has seen 4.4GHz on a few occasions many years ago. Outside of Cannonlake, hardware enthusiasts are keeping a close eye on developments surrounding AMD’s next microarchitecture. Codenamed Zen, AMD’s forthcoming 14-nanometer offering was designed from the ground up and is thought by some to be stout enough to once again compete with Intel’s dominant Core family. Only time will tell if that prophecy pans out. AMD is expected to release its new flagship in October 2016.